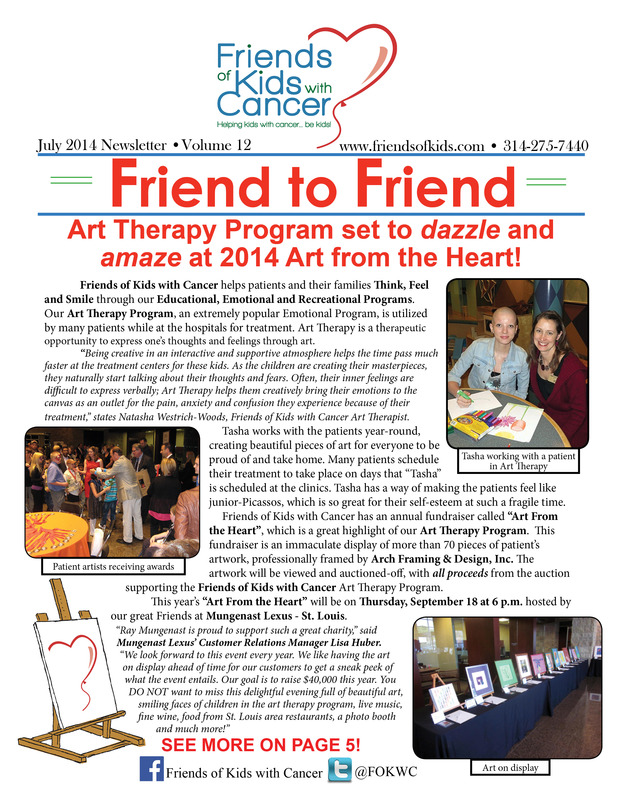 Friends of Kids with Cancer | Have you seen the newest "Friends" Newsletter?! Have you seen the newest "Friends" Newsletter?! So far in 2014, Friends of Kids with Cancer has been great! We're so fortunate to have great volunteers, sponsors and every other type of supporter. Thank you to everyone who's ever supported our organization to help these kids. We want to keep everyone informed about how YOUR support is helping these kids battle cancer. Check out the Mid-2014 Newsletter HERE.